The IoT Security Foundation (IoTSF) has published a new, free to download report today titled: “IoT Cybersecurity: Regulation Ready”. It is aimed at businesses that produce and use IoT systems as there ‘is a veritable minefield’ of regulatory issues that exist. Legal sanctions are highlighted, some of which may only become apparent when something goes wrong. Examples are given as to how regulators have already taken action against IoT providers using existing laws. Readers are reminded that ‘security is a journey and not a destination’ and the landscape will change over time. Further regulation in the IoT ecosystem is regarded as being highly likely despite caution being applied by many governments who do not want to negatively impact innovation and the benefits of new products and services. 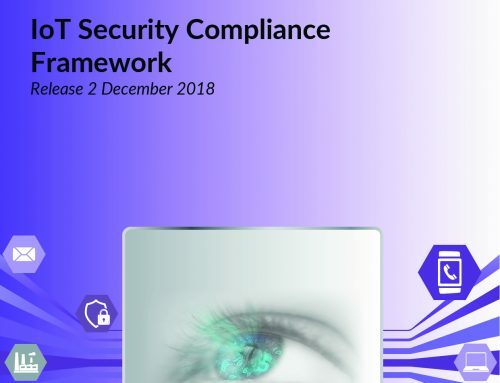 The report encourages industry to adopt a security mind-set and identifies 24 organisational and technical tools and resources that companies can adopt that exist today to help them become regulation-ready. In conclusion, to enable market adoption and mitigate risks, the report urges the IoT industry not only to be proactive, but also clearly communicate the measures it is taking to increase market confidence. The report has been published in two versions; a ‘concise version’ (white cover) for time pressed executives, and a more detailed ‘full version’ (red cover) for professionals who need greater depth. It covers 15 policies, across five market regions of the European Union (EU), the United States of America (USA), the United Kingdom (UK), Australia and Singapore.